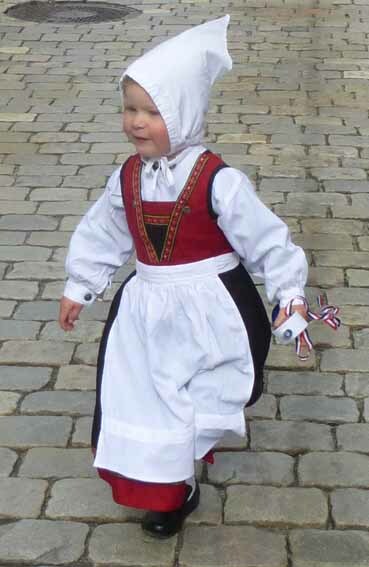 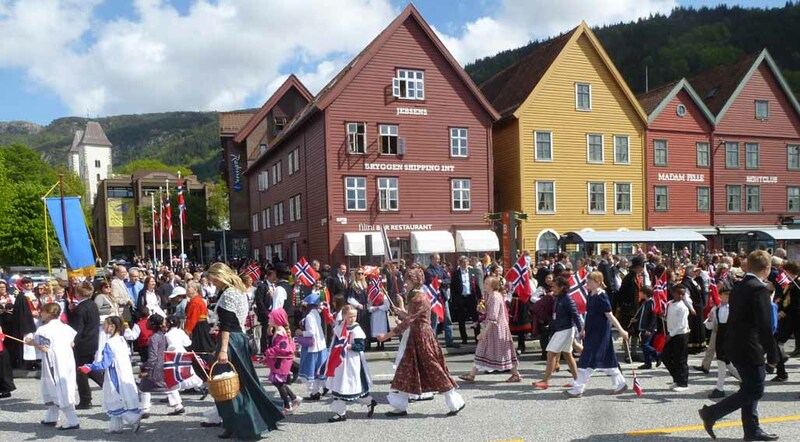 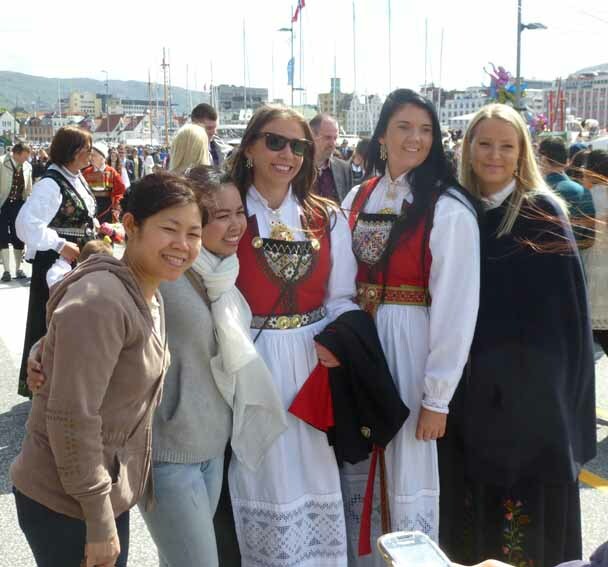 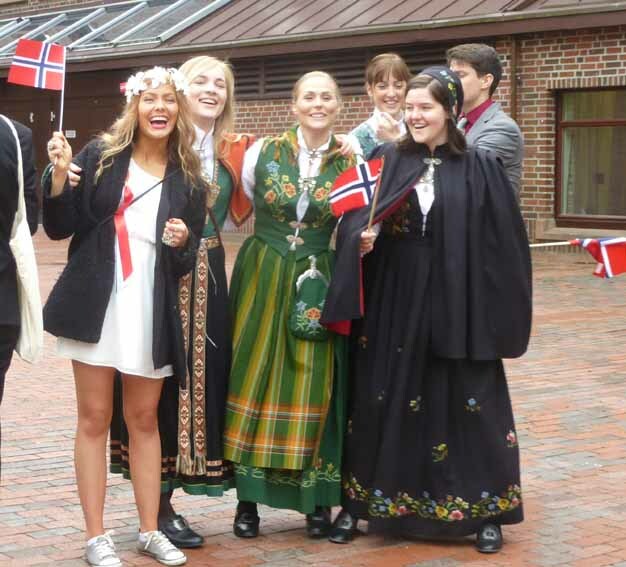 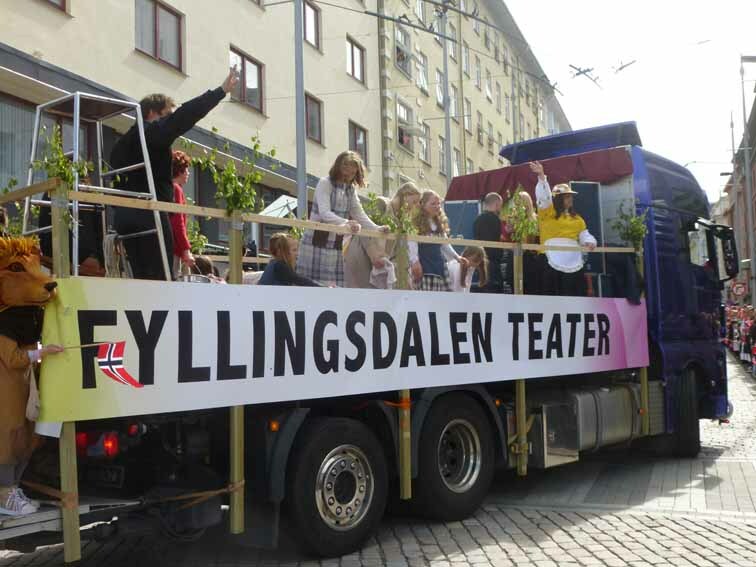 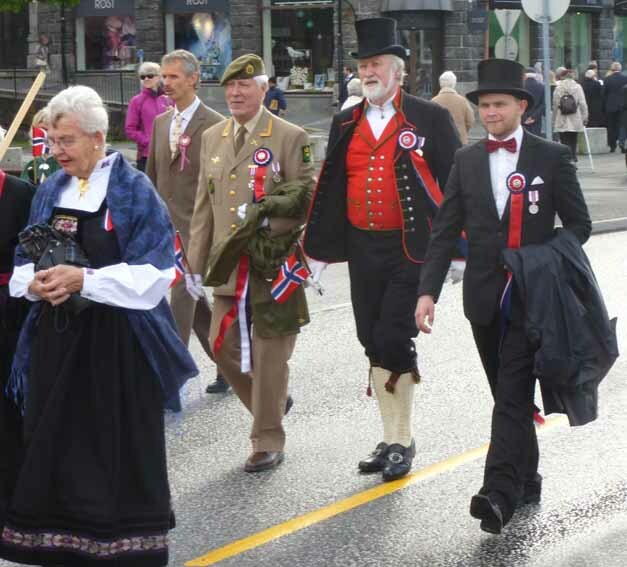 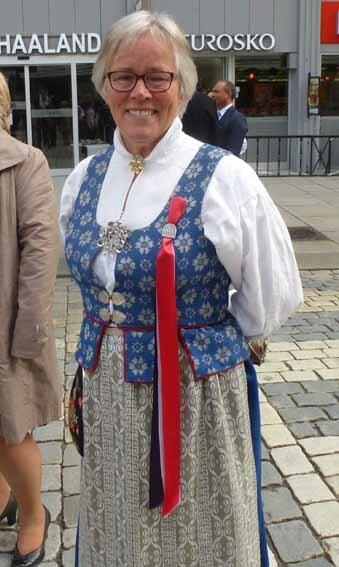 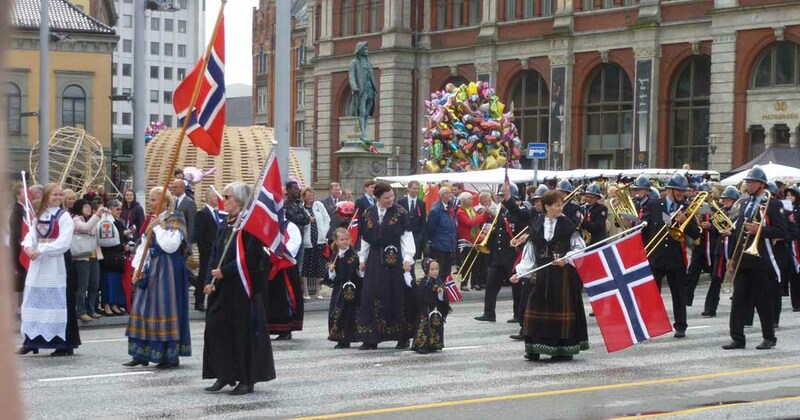 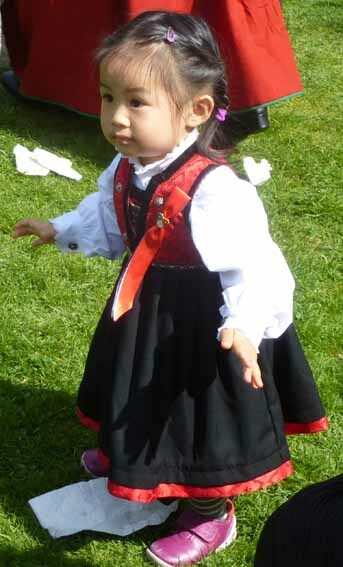 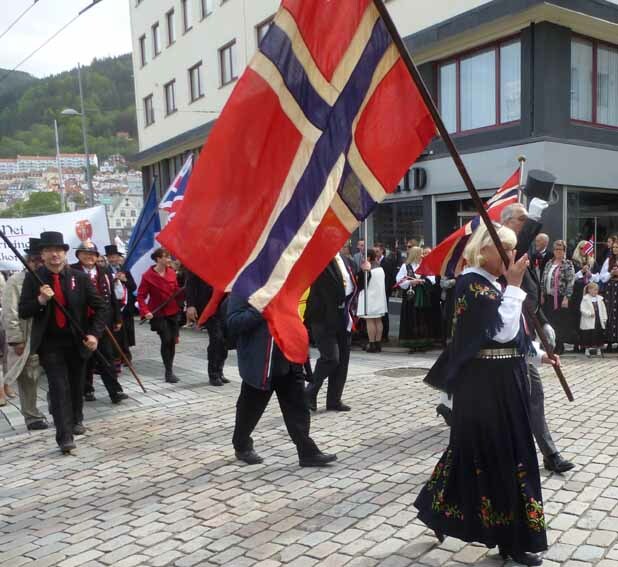 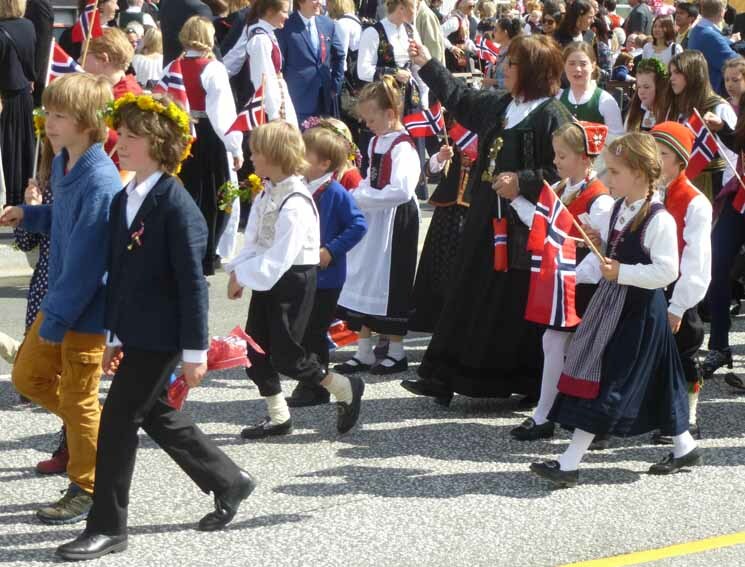 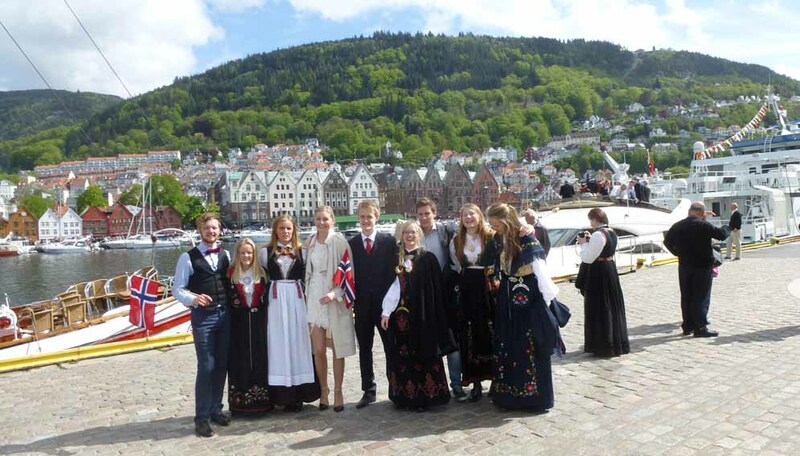 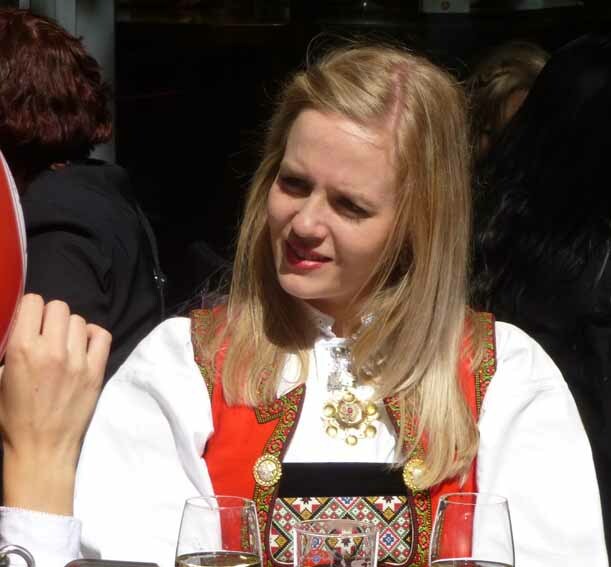 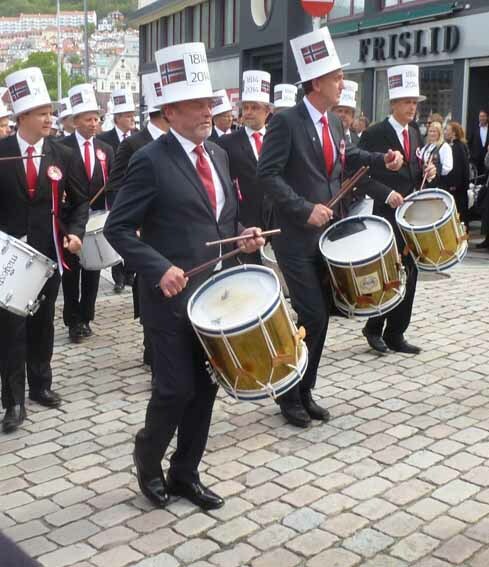 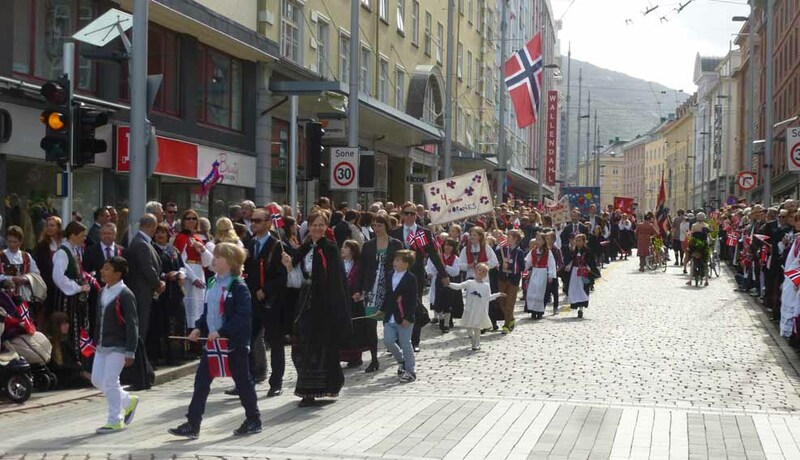 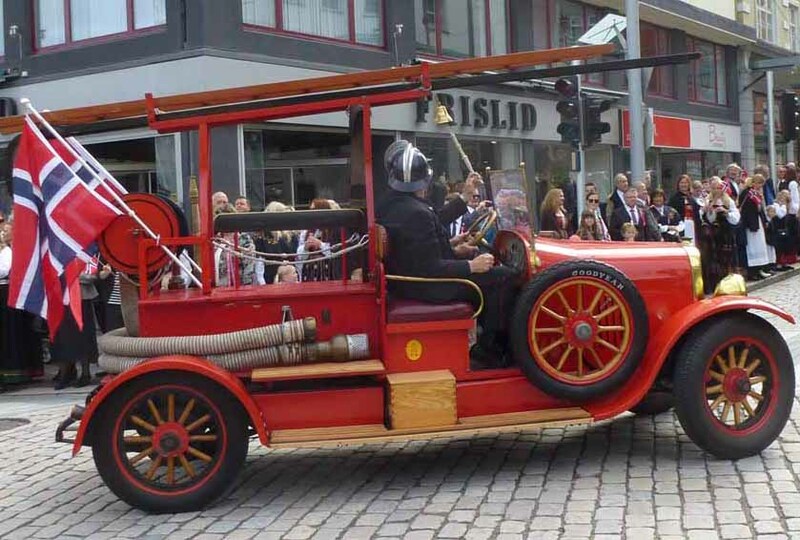 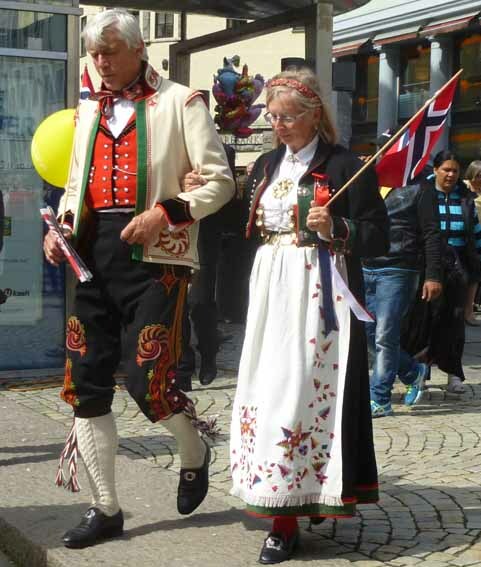 Constitution Day in Norway & the 200th, so we got going fairly quickly & walked to Strandgaten (where Grieg was born) through large numbers of people, many of whom were wearing National Dress of one sort or another. 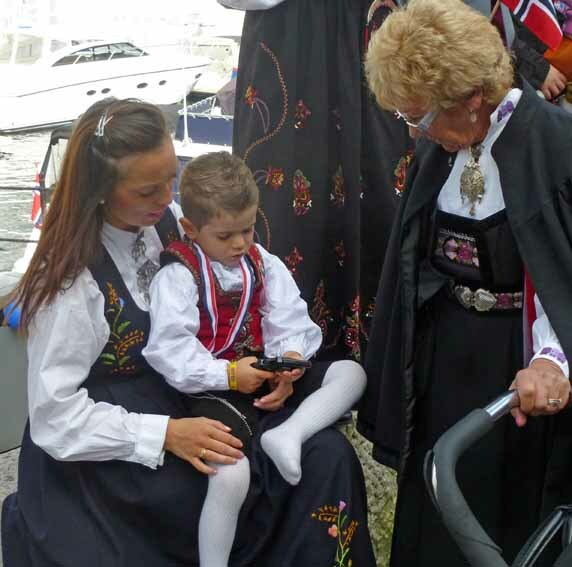 I spoke to some ladies while Avis had a sit down & after we found no ‘blue plaque’ or its equivalent in Strandgarten, we found a spot where Avis could lean on the crash barrier. 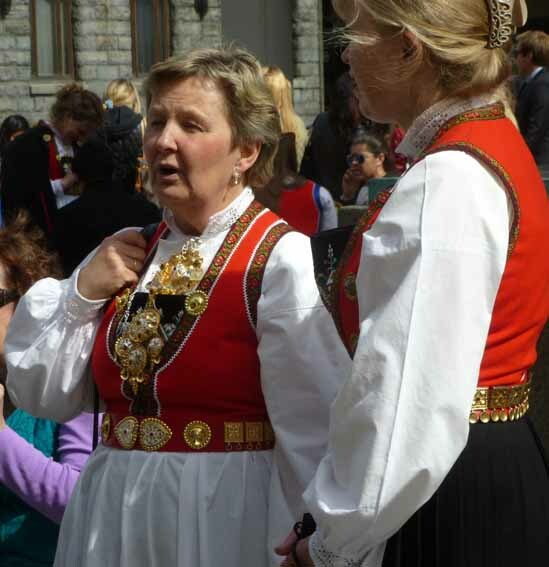 After a while, we were chatting to a helpful local. 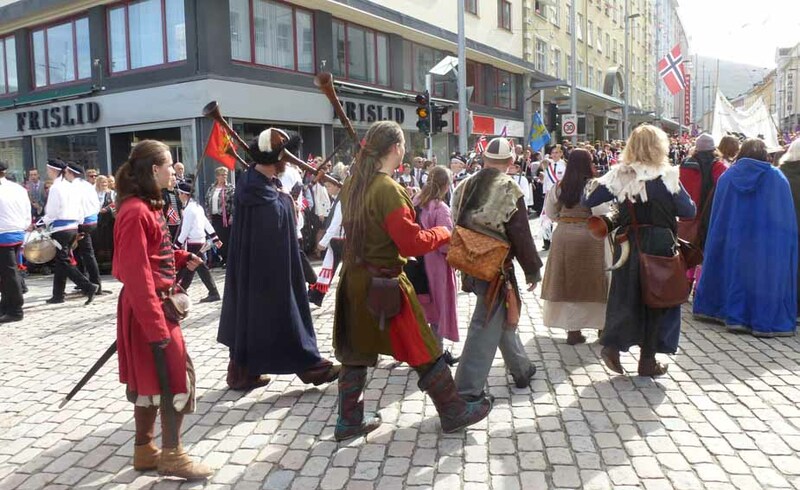 The march came at about 1045 & later, another one the other way. 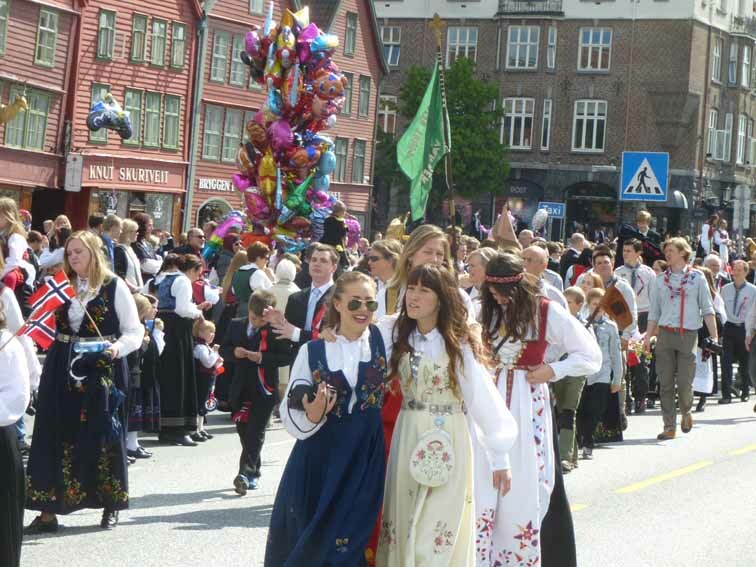 Confusion is avoided, as they do this every year. 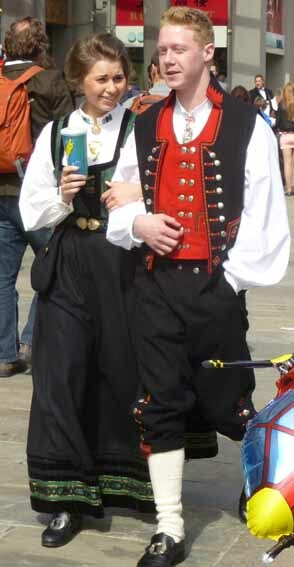 I told the locals about the Lord Mayor’s Show. 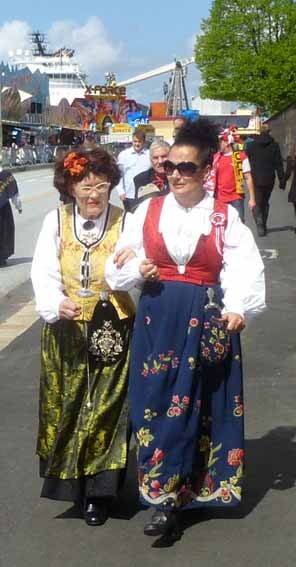 After 1145, we dragged our stiff legs slowly back to the ship, which took an hour & had lunch. 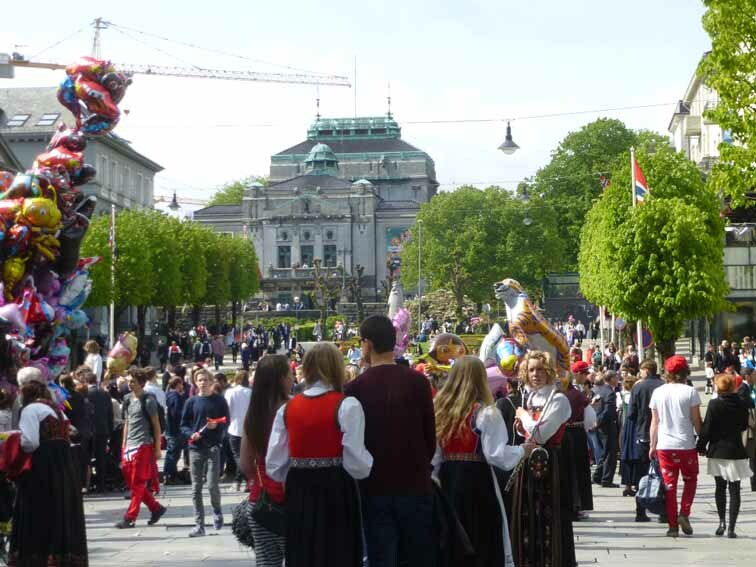 I went out again, finding the park, which I think is a short cut but the two churches I wanted to suss out were surrounded by scaffolding, so I went round the back by the lake & took more photos, getting back to the ship at about 1515.